“When does the Wildwood boardwalk open?” and “When does the Wildwood boardwalk close?” are two questions we get quite often here at Wildwood Underground. They’re not too easy to answer, unfortunately. The boardwalk has no set open or close hours, nor is there a specific date whenall shops close up at the end of the season. When does the boardwalk close for the season? There are shops open year round on the boardwalk, like Gateway 26 and Sand Jamm, but they are few and far between. 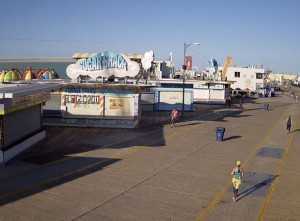 In general, most, if not all business on the boardwalk are open from Memorial Day weekend to Labor Day, every day. 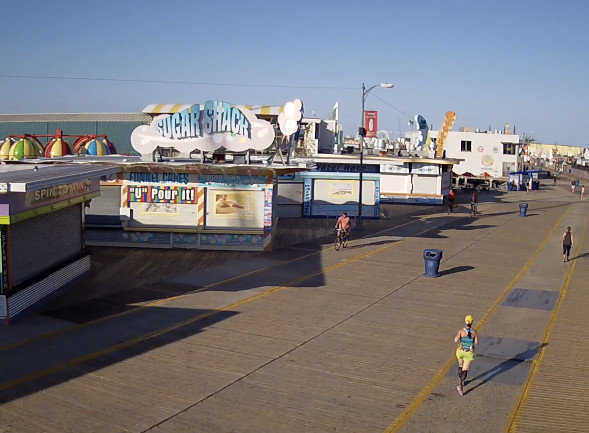 However, it’s safe to say that 90% of the businesses on the boardwalk will be closed and boarded up sometime in November through all of March, opening around Easter Weekend, then sporadically opening weekends until Memorial Day Weekend. The boardwalk never closes. You can walk it any time of the day or night, any day of the year. The businesses comprising it, however, do close. It’s pretty much impossible to put up a schedule of opening and closing times of each business, so we’ll shoot for some general opening and closing times. In season (June through September), most stores are open by 10 a.m. Many stores, such as eateries and those offering sundries and clothes, open much earlier — as early as 6 or 7 a.m.
My wife and I owned a store on the Wildwood boardwalk some time ago, and we would close about 1/2 hour after Morey’s Piers closed. We knew when they closed because the lights on the ferris wheel would be turned off. Most businesses on the boardwalk follow this general rule. It’s a good idea to pack things up at this point, as around this time the boardwalk crowd tends to turn… shall we say feisty? 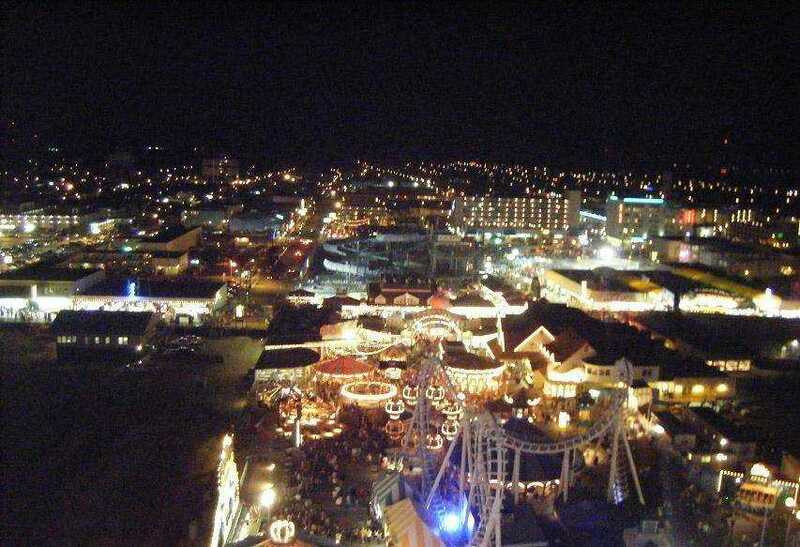 At this time of year (end of August/beginning of September) the ferris wheel lights usually go out around 11 p.m. on the weekdays and 12:30 a.m. on the weekend. Rain and inclement weather will abbreviate the times listed above. Note: This is a “best-guess” schedule. Saturday, April 13: Many stores will be opening soon, usually only on the weekends to start. If it’s rainy, not much will be open, but sunny and warm days will bring the people, and the business owners know that. Of course, staples like Mac’s Pizza and Sam’s are open on the weekends, as is Gateway 26.